Is your church part of the growing trend of incorporating the cafe shop concept with religious worship? Are you looking to expand your denomination’s social efforts to better communicate with the community? Either way, a coffee shop with the right furniture can be a rewarding ministry that serves your community, brings church members closer together, and raises money for your institution or other charities. Incorporating a cafe inside a church can be challenging so choosing the right Church Furniture contributes to a successful and productive congregation. 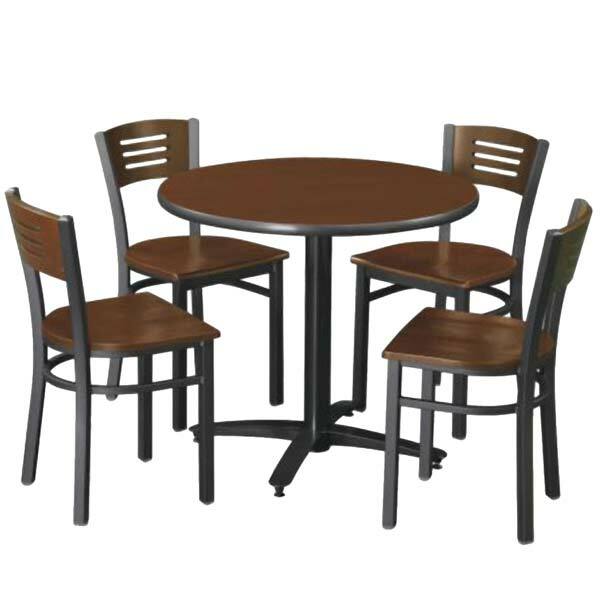 Visibility and convenience are the elements for choosing the right cafe furniture. You want people to know they feel welcome to the cafe when passing by for church events. One example is the Arched Based Cafe Table & Four Cafe Chairs by KFI. You’ll also want the capacity to configure the cafe to accommodate groups of parishioners, both small and large, when they need a quick pick-me-up before mass or if everyone is gathering for a coffee & doughnut reception after services. In addition, it’s not uncommon to hold mass service outside of church for special exceptions such as building renovations or special service such as a couple renewing their wedding vows or a bereavement service. The Folding Rectangle Table & Eight Padded Folding Chairs Package by National Public Seating creates an adaptive seating solution for your place of worship. Starting a coffee shop is definitely an ambitious endeavor so be sure to perform your due diligence to determine if it’s consistent with your church’s roadmap. The good news is that we have a selection of bar stools, cafe tables, reception sofas, and lounge chairs so you can find the right product combination for your unique establishment’s ambiance. Worthington Direct strives to ensure you have the right furniture for your place of worship so be sure to check out our large selection of Church Furniture for all your seating needs!